Works with more than 700 restaurants in Northern California providing professional, courteous and efficient service. We are available 24-hours a day, seven days per week. 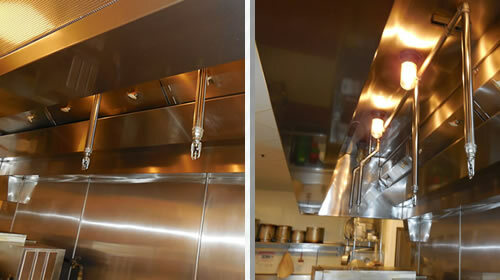 provides proper service and cleaning of the total hood and exhaust system for commercial kitchens of all sizes. Every part of the system including the flue and exhaust fan are cleaned to bare metal in accordance with I.K.E.C.A. 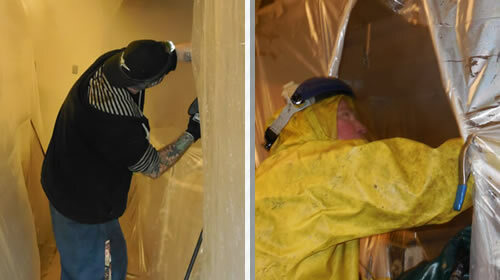 (International Kitchen Exhaust Cleaners Association) and NFPA 96 Standards for Ventilation Control and Fire Protection. NFPA 96 is the standard for ventilation control and fire protection in commercial cooking operations. is I.K.E.C.A. Certified and conforms to NFPA 96 Standards. We employ in-house Quality Control and Safety Managers and all of our technicians are uniformed and professionally trained. We guarantee our work 100%. Our goal is to service the customer right the first time. 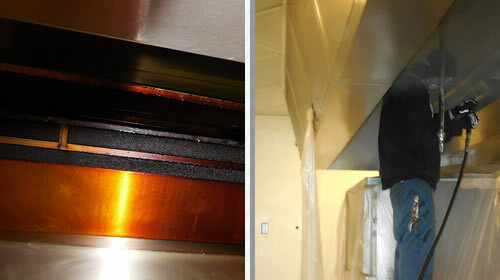 A-1 Air Vent has been providing total quality professional kitchen hood exhaust system cleaning since 1980 and services commercial kitchens of all sizes. Locally owned and operated, with multiple trucks, our crews are able to provide regular services and take care of any immediate needs. A-1 Air Vent maintains professional I.K.E.A. and NFPA certifications. We are a licensed, bonded and insured General Contractor. We proudly serve major restaurant chains, locally owned restaurants, casual and fine dining, fast food establishments, casinos, hospitals, major entertainment venues, supermarkets, and rest homes. A-1 Air Vent partners with several quality manufactures of related products, such as Gaylord Industries, Flamegard Filters and 10/10 Chemicals. All of these products are leaders in the industry and can be made available at the local level. We value our clients, and many have been loyal to us for over 30 years. Our client list of more than 700 includes: Ella Fine Dining, The Kitchen, Fat’s, Ruth Chris Steakhouse, Il Fornio, Kaiser and Sutter Hospitals, Thunder Valley Casino, Carls Jr., Shark’s San Jose Arena, Sleeptrain Arena, Raley Field. A-1 Air Vent is committed to providing top quality professional hood cleaning services. It will be our missiong to keep your hood systems clean, odor free, and safe from kitchen fire potential. A-1 Air Vent has been providing quality hood and exhaust cleaning services to the greater Sacramento area for more than 30 years. Our crews are employees, we do not use subcontractors. Our work is guaranteed 100%. Our Pleadge to you is simple, if the job is not done to your satisfaction we will make it right, even if that means redoing the job. Your complete satisfaction is what matters most to us. You are the boss. Nearly 8,000 eating and drinking establishments report a fire each year, according to data tabulated by the National Fire Protection Association (NFPA). These fires caused an annual average of $246 million in direct property damage.